Twin Cities divorce professional Kimberly Miller, JD, MA, LMFT, CDFA is known for her ability to resolve challenging family issues without resort to aggressive legal strategies that are damaging to vital family relationships. After years of litigating business and family disputes at a prominent national firm, she recognized the devastating psychological and financial impact that litigation can have on individuals, couples, and other loved ones. She decided to establish her own practice to promote alternative forms of dispute resolution, such as collaborative law and mediation, to reach consensus. Kimberly's training at Brown University where she graduated with honors and her exceptional legal training at Cornell Law School have prepared her to be an effective legal advocate on behalf of her clients. Kimberly is a licensed associate marriage and family therapist, which enhances her ability to counsel and guide families toward collaborative resolutions. Her degree in family counseling and psychology at the University of St. Thomas provides her with the keen insight and wisdom needed to help families overcome difficult issues and create workable solutions that are agreeable for everyone involved. 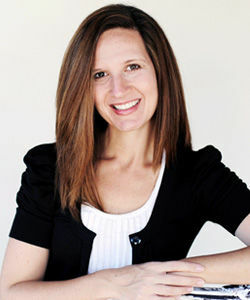 Kimberly is also a Certified Divorce Financial Analyst with expertise in the finances of divorce. Her training and experience demonstrate Kimberly is an experienced divorce professional who works to find resolutions and keep clients out of the courtroom. Kimberly was named a "Super Lawyer" by Minnesota Law in Politics in 2014, 2015 and 2016. Before starting her own practice in 2010, Minneapolis divorce attorney Kimberly Miller had eight years of trial litigation experience with a top national law firm. During that time, she was named a "Rising Star" by Minnesota Law and Politics in 2006, 2007, and 2009 and an "Up and Coming Attorney" by Minnesota Lawyer in 2008. Kimberly also has a Masters Degree in Counseling Psychology and is certified as a CDFA by the Institute of Divorce Financial Analysts.